In the business world some professions require you to have a professional license. To maintain that license you have to earn continuing education units (CEUs). For your particular job you may be required to attend conferences or take refresher courses. Successful businesses have a Chief Executive Officer, Chief Operations Officer, and an Advisory Board. With all of that to ensure businesses run smoothly, why do we think, on a spiritual level, we don’t need to continue learning, need to be refreshed, or receive counseling from leadership. You can liken studying to earning CEUs, fellowship to conferences, and counseling to speaking with an advisory board. 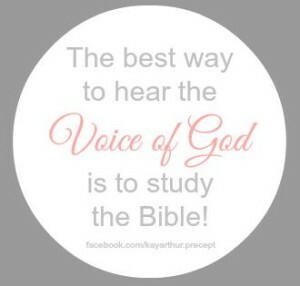 2 Timothy 2:15 reads, “Study to shew thyself approved unto God, a workman that needeth not to be ashamed, rightly dividing the word of truth.” If we fellowship, attend Christian conferences, and study, we will have a better understanding of how to live our lives in a way that is more pleasing to the God we serve. What are your thoughts on fellowshipping? Attending Christian conferences? Seeking Christian counseling? I’d love to read your thoughts.